Benguet Schools Division Superintendent Marie Carolyn Verano pressed the Benguet immigrants in British Columbia, Canada to continue reconnecting with their roots in the midst of the challenges of the 21st century. In her speech during the second year anniversary of the Benguet Society of British Columbia (BSBC) last August 18 in Vancouver which she graced as guest speaker together with Filipino-Canadian Assemblywoman Mable Elmore, Verano expressed her admiration to the Benguet natives there who organized their ranks so that they will not forget who they are and where they came from. “The 21st century challenges our Benguet people to be resilient and innovative. It is in this context that I remember this old saying: to be great is to go far, to go far is to come home. For me, to come home means to be rooted in who you are,” the superintendent said. “If there is one thing I noticed among people whom I consider great, these are the people who remain who they truly are as they become skilled and adept with 21st century skills. These are people who become successful… but never forgetting who they are and where they came from. These, I saw in most of you here. That is what it means to go far, and be able to come home,” Verano added. 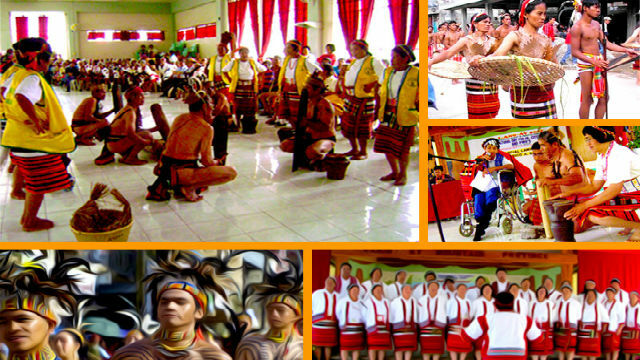 The superintendent stressed that in spite of modern changes and assimilation, the mark of being truly sons and daughters of Benguet could still be manifested through a sense of being part of the community, giving due respect and recognition to one’s ancestry and the continuing practice of positive values taught by parents and elders. She also cited the importance of speaking the native language as an indication of being part of the community of origin. “If I hear one speaking Filipino in a foreign country, I am happy that here is a kababayan, much more if he or she speaks any of the Benguet languages. I observed that many of you do speak your original language,” Verano noted. Dubbed as Adivay bearing the theme “Working together in diversity,” the gathering of Benguet immigrants and their children in Canada to celebrate the second anniversary of the BSBC was doubly significant with the presence of Elmore, member of the Legislative Assembly of Vancouver-Kensington and whose mother is a Filipina.